INDIA. Mumbai. 2006. 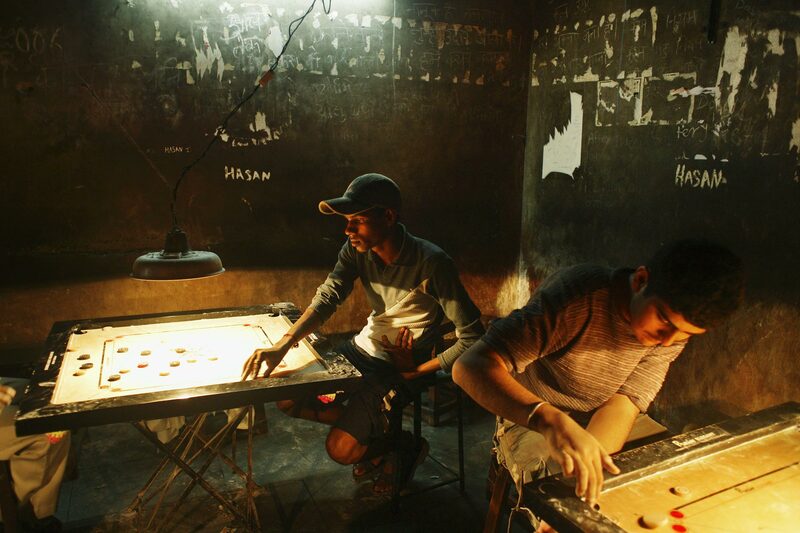 The Star Carrom Club in Khumbarwada area, where local young guys hang out and shoot games of Carrom for 8r pers 4-place sitting.